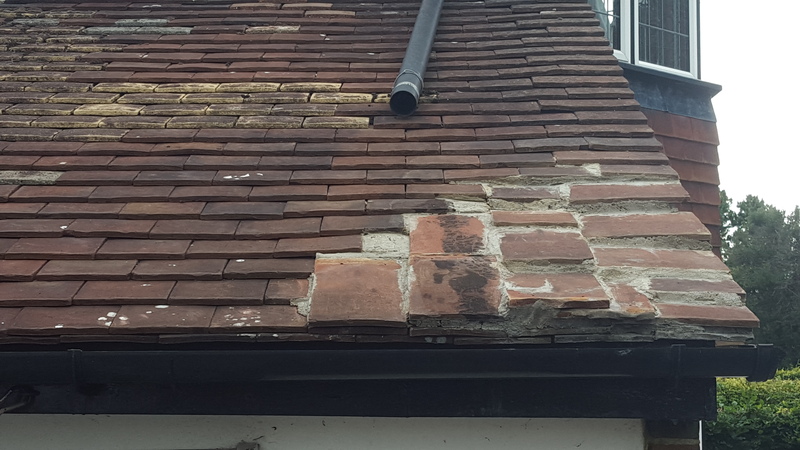 You should never cement tiles to a roof unless the are in the valley, on a gable or if they are in a ridge. This is a perfect example of when you should NOT cement tiles to a roof. Not only does it look terrible and create an unnecessary eyesore, it also can cause potential expensive roof repairs in the future. The only time that roof tiles should be cemented down is if they are located on a gable or in a roof ridge. We have completed countless jobs which include this type of work and will be able to advise you on the best course of action if you have experienced the above. You can always contact us if you would like to talk to us directly.